The International Labour Organisation (ILO) and the International Co-operative Alliance have signed a partnership agreement to promote cooperatives as part of the UN Millennium Development Goals Post 15 Development agenda. It is a revised and updated version of an earlier agreement that was signed in 2004 under the framework of the UN Millennium Development Goals, the ICA reports. ILO Director General Guy Ryder welcomed the new MoU by saying that “the new agreement with the International Co-operative Alliance is a forward-looking exercise fully consistent with the ILO’s 2016-17 priorities as just adopted by our annual International Labour Conference, as well as Alliance’s Blueprint for a Co-operative Decade. 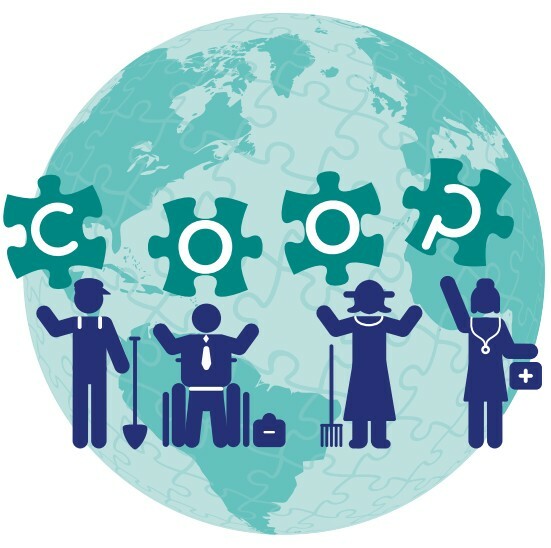 It will allow us to tap into the full potential of cooperatives around the world as we continue to work towards a sustainable future with decent work for all”. This is an excellent, innovative and really simple solution to a serious Cambodian problem of iron-deficient diets. What's the answer? Just cook your meals with a lucky iron fish! 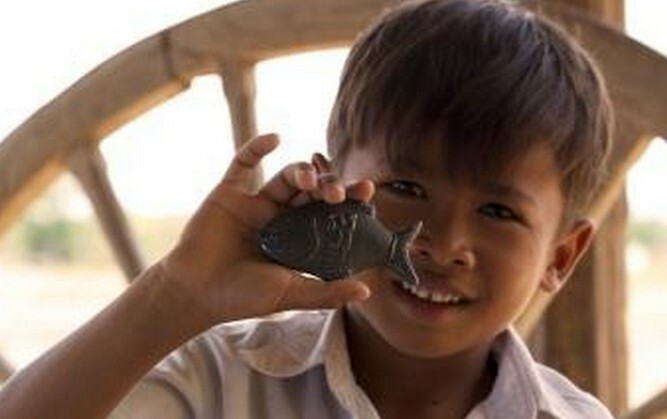 You can even buy or sponsor a fish yourself! As the case study below shows, Geometry Global in Dubai, United Arab Emirates, approached the problem of iron deficiency in Cambodians by trying to find ways to more iron into their diet. One way, they found, was to simply put a piece of iron into skillets and pans while cooking. But Cambodians were reluctant to do so … at first. There are some major differences between the attitudes of the United States and of China, and how these rub off on Africans. The general perception here is that In everything America does outside its shores, self-interest (read selfish) is paramount, and in an age where Africans are getting increasingly jealous of their autonomy and national pride, selfish governments eager to garrote Africa to milk it dry are kept at bay. Whatever accusations some may levy against China and its true intentions in Africa, there is something an African finds attractive in a Chinese who bends down with them to plough the field, mix cement, carry head pans of concrete and do menial carpentry jobs. No job is too menial for the Chinese laborer in Africa and for the African who values hard responsible work, it is an attitude that deserves respect. This creates a powerful image, different from that of a US construction boss coolly taking the breeze under the shade, with his proverbial whip, while his African employees slave it out. The workers bear with such attitude but resent it, and when a chance comes to choose, those arrogant bosses are soon dispensed with. Both America and China have self-interested reasons to be in Africa. Economic: The United States desires to protect the many companies (especially oil prospecting) of its citizens, wants to ensure it retains access to a huge source of rich crude oil; Security: wants to take the fight to the perceived bases of its perceived enemies: Al Qaeda in Mali, Somalia… and now Boko Haram in Nigeria. China wants a market for its products and jobs for its citizens. While the World Bank and the International Monetary Fund (IMF) [read, United States] give dubiously conditional loans to Africa with stringent payment conditions, China gives interest-free, and unconditional loans. Tell me, which attitude will most win African minds? The difference lies mainly in the approach. China studies Africa, identifies its real needs and tries to service those. Where an African country needs refineries, China offers mouthwatering options to help them build one; where they need roads, China makes a pleasant offer. African countries are getting their roads and refineries, China is getting its money and getting its people employed. America on the other hand does not seem to first study Africa’s real needs. It studies US needs, finds that Africa holds the solution, spins a public relations yarn about their intentions and comes to Africa under subterfuges and behind dark glasses that hide its true intentions. The selfishness of most United States’ interventions here is known to every African and resented. That is part explanation of the open arms with which China is being received. As Alan Greenspan suggested in one of his final testimonies to the Senate, we are about to see private and alternative forms of money capable of competing with the central currencies. He's right. I don't mean just Bitcoin (which is quite clever but still just another scarcity-based central currency), but TimeDollars, LETs and other local exchanges. Unlike interest-bearing currencies, these newer monies — similar to their Middle Ages predecessors — are biased more toward transaction than savings. They don't grow over time, but rather increase the velocity of money in the present. Such possibilities are particularly appealing as values like localism, sustainability and the Maker movement replace corporatism, growth and retail. Big banks become the enemy, seeking to extract value from communities who are attempting to reach some measure of sustainability. Yet local currencies, however attractive in spirit, aren't really great for long-distance or longer term contracts. People will want gasoline, iPhones and other products from the non-local marketplace. So what are banks to do? Promote the use of both local and central currencies, side by side. Modahnik, a contemporary clothing brand based in Chicago that features authentic fabrics from Africa, has mastered the production of beautiful garments while also enforcing fair trade and ethical working conditions on the continent. Kahindo Mateene, the designer and founder of Modahnik, abides by the slogan “Modern, African, Ethical” when creating her pieces – something that can’t be said for many clothing brands today.